Does Having Blue Eyes Lead to Alcoholism? 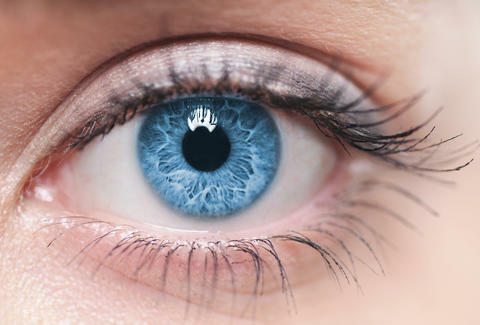 Turns out, photosensitivity isn't the only thing light-eyed people have to look out for: a recent study by the University of Vermont discovered a possible connection between a person's eye color and their vulnerability to alcohol dependence. The study looked at 1,263 European-Americans, and saw a correlation between the genetic markers behind alcoholism and the ones that determine eye color. Alcohol dependence was found to be most common among individuals with light-colored eyes (blue, green, grey, light brown), with blue-eyed people having the highest incidence of all. Of course, we won't know the whole story until the research is replicated and tested further -- that's the scientific method for ya. If the correlation still appears in the next wave of research, though, Li told the Huffington Post that the next step will be to figure out how much of it's pure genetics, and how much (if any) can be chalked up to cultural factors.